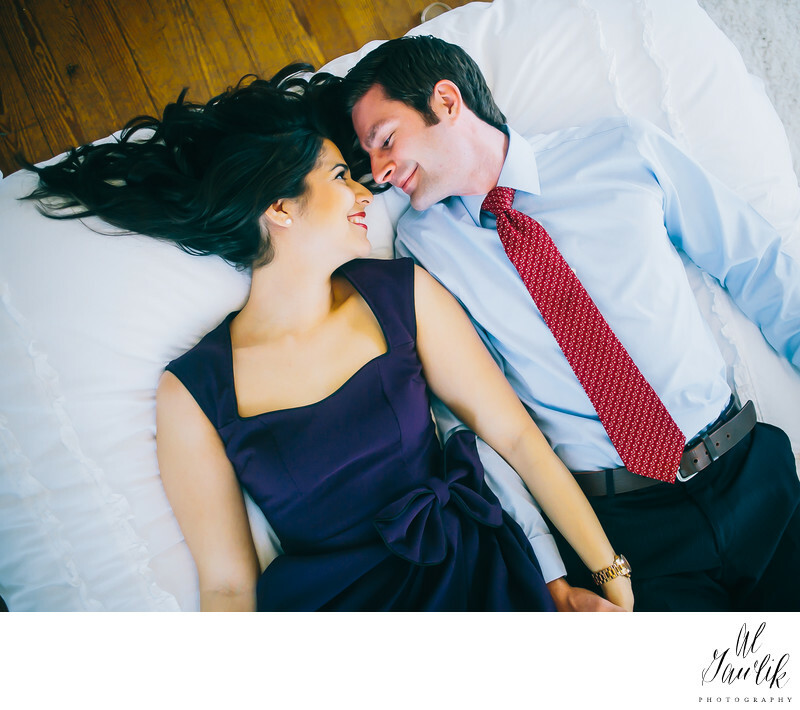 Dressing up and then getting engaged while lying on a pad on a wooden floor. And, they don't look at all uncomfortable, in fact just the opposite. AL Gawlik photography is there to capture this moment that this story begins.